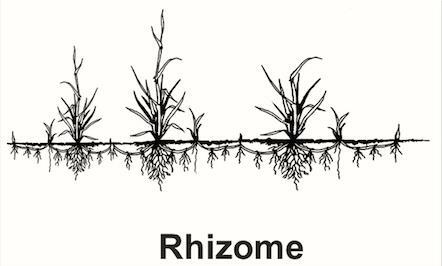 Following our participation in Dave Cormier’s open online course – Rhizomatic Learning – The Community is the Curriculum (link = https://p2pu.org/en/courses/882/rhizomatic-learning-the-community-is-the-curriculum/), Frances Bell, Mariana Funes and Jenny Mackness are keen to research what happened, our shared experiences and what we learned in this course. Details of how we are approaching this research are included in the survey site. The following table indicates how we plan to use research data in our study. Please contact us if you have any queries. Facebook group, Google+ community and other Rhizo14 groups Members of group/community We are not asking for your consent since this data will not be attributed to individuals The researchers are participant observers and the record is their diaries from which no individual attribution will be made in anything published. Public Blog/ Twitter #rhizo14 postings and comments, artefacts shared at #rhizo14 from public web services such as Zeega, Vialogue, etc., Google Hangout audio/video Anyone We are not asking for your consent since this data is public. Data contributes to analysis. Direct quotes used only with permission (because of link back through search engines). Descriptive data on joining/ participation in course/spaces Anyone joining spaces. We are not asking for your consent since this data is anonymous and public. For context-setting only – no statistical analysis. The survey will remain open until 11.45 pm GMT, Sunday 27th April 2014.You may edit your responses as many times as you wish until this time and date. 20-03-14 – We have just sent this email (copied below) out to survey participants who have, to date, participated in our survey. I am posting it here in the hope that those who posted anonymously might see it and also keep up to date with where we are up to. Survey participants can continue to enter the survey and edit as many times as they wish up to the closing date – April 27th. Many thanks to all who have participated so far, including those who have participated anonymously. There is still plenty of time for others to complete the survey. We welcome all responses, acknowledged or anonymous, whatever your level of participation in rhizo14. Thank you for participating in our survey. We wanted to update you with where we are up to and what will happen next. We have had some very interesting responses to the survey, some anonymous, all of which have left us with more questions! You are receiving this email because you identified yourself as being willing to be interviewed further by email. We will wait until the survey closes (April 27th) before doing this. We will then spend some time analysing the survey responses, so it will be sometime in the middle of May when we will contact you again. We hope that is OK with you. In the meantime, the survey can be entered and edited as many times as you wish until April 27th. If you do make changes, it would be helpful if you could let us know (by email) as of course we have already started to analyse your responses. Many thanks for your participation in this research. We are very pleased with the number and quality of responses we have received so far. Simon – I don’t know what you mean by potted history. Do you mean what we will do with people’s responses? Are you against interpretive research? I know that some people are. I am looking forward to reading your narrative. By potted I mean cutting a part of an ecosystem and studying at a point in time rather than using dynamic multinodal maybe multimedia means to show longitudinal development and interaction via multiple perspectives. Maybe you will be intermingling your own changing perspectives with data as participants? Interested in what’s going on in DS106. I agree that longitudinal research is highly desirable but that would need significant funding. We are asking participants to reflect forwards and backwards in time to get a perspective in time. The other multiple perspectives come from multiple participants and that does seem to be revealing heterogeneity from the responses we have had so far. I looked at some different scenarios for research/change in this paper http://www.irrodl.org/index.php/irrodl/article/view/902/1664 (skip to Scenarios).